Arresting and possibly unique in style, this 14.5 inch tall Yaure mask was collected in Africa in 196i and has symbolic elements that may forever remain a mystery. Note the fish on the forehead. Such a collection date and highly unusual iconography clearly speak to native use. The back shows unforced wear on very hard wood. 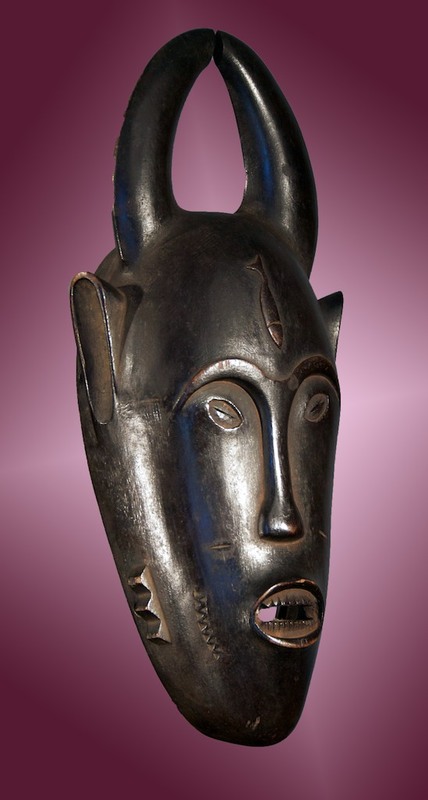 Here is a mask for the discriminating collector who wants only a top piece. It may break new ground in future studies of the Yaure.